A roundtable at the recent St. Petersburg International Legal Forum was dedicated to the question of Russia taking legal action against the U.S. via the WTO over its sanctions against Russian companies. RBTH asked participants of the discussion about how realistic a chance Russia has in suing the initiators of the sanctions. The question of whether Russia should take legal action against the U.S. under the auspices of the World Trade Organization in response to the sanctions levied against Russian companies by the United States continues to be actively discussed, following the dedication of a roundtable at the St. Petersburg International Legal Forum to the issue on June 18. Maxim Medvedkov, Director of the Department of Trade Negotiations at the Russian Ministry of Economic Development, told RBTH that Russia's petition is currently being reviewed by the WTO General Assembly, and for the future Russia is planning to take concrete steps toward suing first the U.S. and then any other country that has imposed sanctions on Russian companies. In particular, these sanctions have been imposed by the U.S., Canada and the EU. The United States imposed sanctions on about 20 companies, which belong in the main to businessmen who, according to the American authorities, belong to Vladimir Putin's inner circle. These companies include the railway giant Transoil, Bank of Russia, mineral water company Akvanika, and others. Currently, bringing legal proceedings within the WTO is rigidly regulated. "Should Russia decide to take legal action, it will be necessary to inform the secretariat and conduct consultations within the WTO with the countries that imposed the sanctions,” explained Swiss Special Ambassador and former chairman and member of several WTO panels on regulating litigations, Luzius Wasescha. “If the negotiations are not successful, a special council will be organized. The experts participating in the council must be participants of the WTO and must determine whether these sanctions breeched WTO norms," he said. According to Wasescha, after the council's meeting, experts will prepare a report that will have to be reviewed for consensus, after which the losing party may present an appeal. However, it is unclear how long the entire process will take. Maxim Medvedkov believes that appropriate grounds for bringing legal action could be the losses that a Russian company has suffered due to the sanctions imposed by the U.S., the EU, Canada or Japan. Accordingly, as Medvedkov stated, Russia, for example, will not be able to take legal action against the U.S. for including Igor Sechin, head of Rosneft (which actively works with American company ExxonMobil) on its sanctions list, since the sanctions are imposed on a physical entity, not on a legal entity. Therefore, in order to take legal action within the WTO, it is first necessary to demonstrate the losses of the company that has been affected by the sanctions. As Wasescha told RBTH, there have been previous cases in the history of the WTO in which countries tried to contest sanctions, such as the lawsuit that Nicaragua initiated against the U.S., but in the end efforts proved futile. "The most important thing that the claimant must prove is that the prohibitions on trade do not affect the country's safety, as well as indicate the players that have incurred losses," he said. He pointed out that in the above case, at a certain stage the WTO members determined that Nicaragua was in the right. However, due to bureaucratic complications within the organization, the affair never reached its logical conclusion. 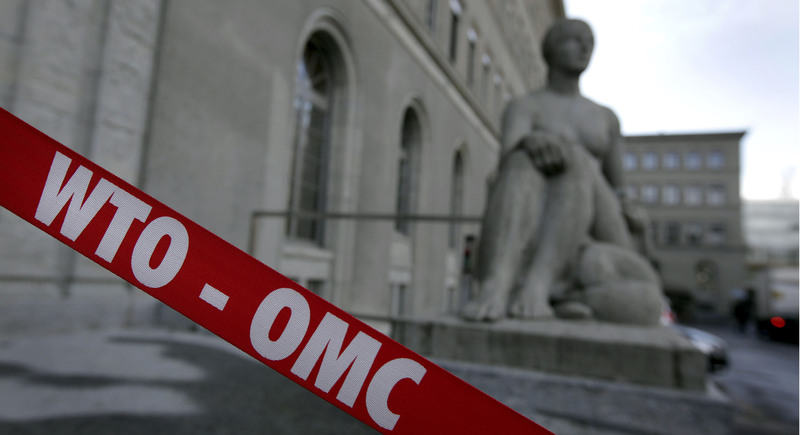 "WTO members can impose these sanctions in certain cases, for example, in the case of war or a serious escalation in international relations, in which the restrictions are founded on national security interests," explained Medvedkov. However, when the U.S., the EU and Canada imposed their sanctions in the spring of 2014, they were not at war with Russia and relations did not deteriorate to the point of equating them with belligerent activity. Also, in practice, all countries deal with national security in their own way. According to Jorge Castro, counselor for the WTO Legal Affairs Division, one European country, taking its national interests into consideration, once determined it was necessary to restrict the import of shoes, while another placed a ban on horses. Castro explained that currently the WTO consists of 160 countries and that 98 percent of world trade is regulated by the WTO. "Joining the WTO, the member states become responsible for withholding trade restrictions on each other. The organization's main purpose is to find a positive solution to trade litigations,” said Castro. “There is no room here for theoretical questions; it is a practical system, which must provide for the market's balance," he said. He added that most WTO litigations are resolved before reaching the panels. Out of 481 litigations initiated within the WTO, only 268 cases have been taken to the panel for discussion, and only 18 cases have received final verdicts in the entire history of the WTO. Currently, the principal claimant and defendant in the litigations is the U.S., then the EU. Russia is a claimant in two cases and a defendant in three. "If the sanctions have not only a political effect, but also touch the principles of free trade, then they have an immediate relation to WTO regulations. Thus Russia's lawsuit can become a legitimate model," said Luzius Wasescha. According to him, the WTO has lots of experience in resolving trade litigations, but very little experience in resolving litigations related to sanctions. In any case, Wasescha said, "If the affair remains political, the WTO system will not be able to help."